3/20/2018 – Dominic Iocco, President of Jet Hot, Burlington, NC today announced an agreement for an Associate Sponsorship between Jet Hot, Inc., and Hanna Motorsports Jets, Enfield, CT.
Hanna Motorsports Jets fields three teams, the Queen of Diamonds II, driven by Sarah Edwards, the First Strike Firebird, driven by Rich Hanna, and the Top Secret Firebird, driven by Ken Hall. They run between 60-70 events each season. Their first event is at the Memphis ‘Super Chevy Show’ April 6-8, 2018. We invite our fans and friends to drop by and say hello. 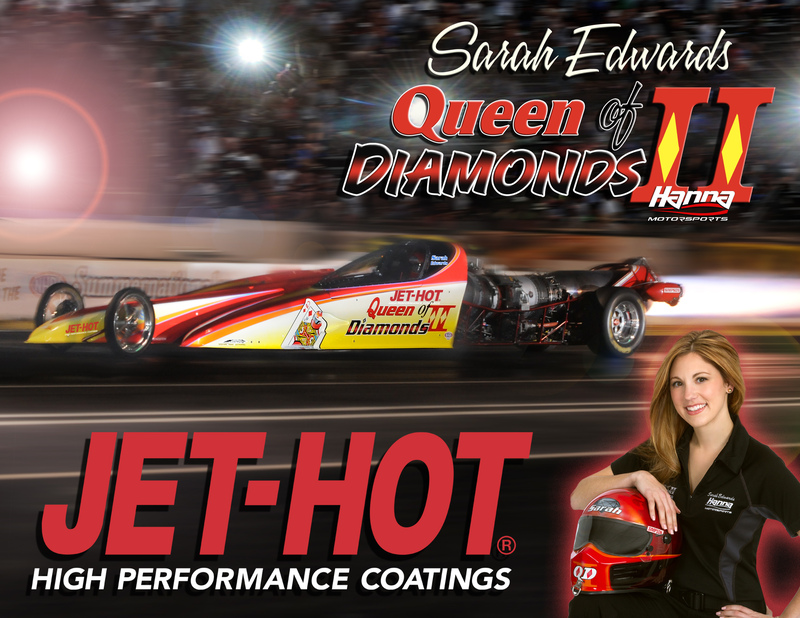 We also want fans to know there’s a major jet dragster event at Summit Motorsports Park, August 11, The North American Jet Car Nationals, featuring Sarah Edwards and the ‘Queen of Diamonds II’, along with 9 other 300 MPH jet dragsters. Be there. Jet Hot is based in Burlington, NC. Think of Jet Hot for all your coatings needs.